The Indiana-based Public Interest Legal Foundation (PILF) recently gave final notice to Harris County officials, informing them they face “federal litigation should [they] continue to deny access to the requested records” of noncitizens registered to vote. Federal law generally gives a jurisdiction 90 days to comply with this type of request before a lawsuit can be filed. To date, Harris County officials refused to comply with PILF’s requests to obtain voter roll information, the group said. Federal law gives PILF the power to publicly inspect noncitizen voter documents. In fact, Section 8 of the National Voter Registration Act (NVRA) of 1993 allows individuals to request inspection or seek copies of “records concerning the implementation of programs and activities conducted for the purpose of ensuring accuracy and currency of official lists of eligible voters,” PILF noted. “This isn’t a question about the existence of alien voting — but the scale. We will go to federal court if we must to obtain these public records,” added Adams. On December 1, PILF requested voter list information from the Harris County Voter Registrar under NVRA. However, county officials denied PILF’s request to inspect records of registrants who were later removed following official discovery or admitted to non-citizenship on January 11. Subsequently, PILF advised county officials they could face a lawsuit if it fails to reveal records of noncitizens who were registered to vote. Then, in May 2015, Harris County voter registration officials testified before the Texas House Elections Committee that “thousands” of noncitizens were discovered in the voter registration system annually and were regularly handed over to the District Attorney for prosecution. Breitbart Texas reported PILF also put Bexar County on notice after the elections administrator would not disclose noncitizen voting records. In 2016, the public interest watchdog filed federal litigation against Starr County, located on the Texas-Mexican Border, for failure to provide evidence of secure voter rolls that did not include noncitizens. 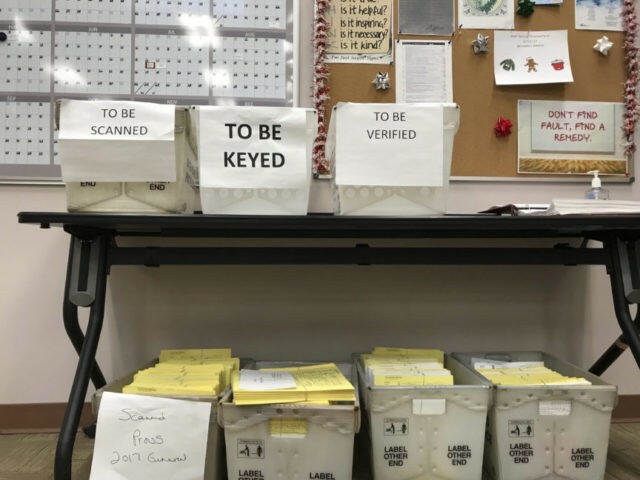 Last week, the Starr County district attorney opened an investigation over “questionable” mail-in ballot applications and noncitizens registered to vote. Breitbart Texas reported Starr was one of 12 Texas counties that PILF put on notice for showing more registered voters than adult residents in counties during the 2016 election.